Ripken Vineyards & Winery appeals to adventuresome wine drinkers with mostly non-traditional varieties producing extraordinary flavored wines. 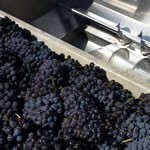 We consider ourselves an artisan “barnista” winery that is uniquely different, electric, eclectic, quirky, esoteric, even wacky, but never boring or weird. Our motto is, “No Boring Wines!” We make wines of conviction! We go down the road less traveled. We appeal to wine drinkers that wish to explore the joys of Marsanne, Roussanne, Viognier, Malbec, Petite Sirah, Carmine, Petit Verdot, Alicante Bouschet, Tempranillo, Graciano, Souzao, Touriga National, Grenace, Mourvedre, Montepulciano, Barbera, Dolcetto, or Corvina as blends or varietal wines. Our grape growing focuses on maximizing flavors, reduced but adequate irrigation or non-irrigation, sunlight to the cluster, full ripeness for flavor, moderate size crops, adequate soil fertility and organic matter in soils. All this attention to detail leads to full flavored wines of good mineral content which are balance and enjoyable when released. We are Lodi’s 60th winery. We crushed our first vintage in 2003 but we are not new to wine grape growing being third generation growers since 1950. In addition, we grow our own rootstock and have collected different wine varietal clones and selections for forty years. Tasting Fee: $8.00. Refunded with purchase.